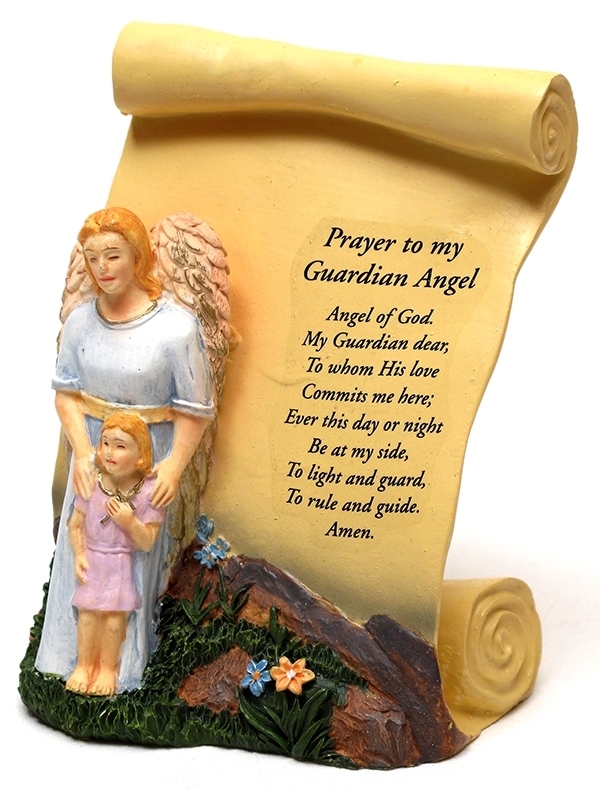 Guardian Angel with Girl Scroll Plaque - Resin. 3.25" x 2.25" x 4.25". Gift boxed.